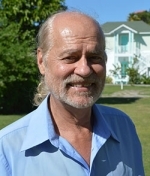 John Yearwoodis co-owner and managing director of Coldwell Banker St Kitts and Nevis Realty. He is a native of St Kitts and Nevis as is his co-director and brother, Alastair. The Yearwood family is one of the most prominent names on the islands of St Kitts and Nevis, and John is closely involved with the islands’ communities. John met his wife Karen, a native American, in West Africa. Their extensive travels and experience of hotel cuisine and service was invaluable when they came to establish the Oualie Beach Hotel, the best-located and most authentic Caribbean hideaway on Nevis. His long-standing knowledge of the islands, their culture, infrastructure, and the best places to live and play, is invaluable to clients of Coldwell Banker. When searching for real estate or a vacation home, John Yearwood is definitely the man to speak to!